Kay Tye, PhD, is a neuroscientist and Assistant Professor at MIT. Her cutting-edge science has garnered prestigious awards, including the McKnight Scholar Award from 2015-2018. Her lab studies the neural circuit mechanisms of emotions and motivated behaviors in mice, and she’s been one of the neuroscientists collaborating with Inscopix to apply nVoke, our game-changing all-optical technology for simultaneous optogenetics and calcium imaging. 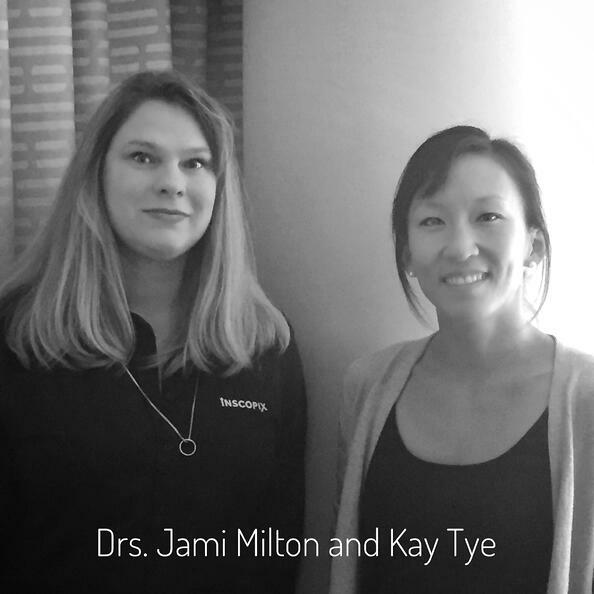 To find out more about how her research is going, and to chat about future work, including that related to Kay’s recent NIH Director’s Pioneer Award, Jami Milton, PhD, Content Strategist at Inscopix, recently caught up with Kay. 1. Thanks so much for chatting with me. First, could you tell us what motivates your research? What I’m really passionate about is understanding internal emotional states and motivated behaviors at a neurobiological level in animal models so that we can understand neural circuit mechanisms. What inspires me and makes me really excited about doing the work is to pin down to a biological substrate what these psychological constructs are and what the connection is between the mind and the brain. It may sound cliché, but that really is at the heart of what motivates me. 2. How would you describe your approach to science, and how you choose the problems that you work on? In terms of my approach to science, I think it’s constantly evolving, but I’m always trying to give myself a picture of what we think is actually happening. How do neural signals get processed through different circuits, and how does that lead to different types of behavior? In terms of the types of projects I would choose, it’s partially based on what I think is really interesting and exciting. And what I’m always telling people in the lab is that we’re trying to optimize the information to effort ratio. We want to do work that is enabled by technology because having access to great tools definitely changes the information to effort ratio at certain points. That’s something that ends up playing a big role in governing what we end up working on at each phase of our research program. 3. I’ve heard you talk about how the brain assigns positive or negative valence to a stimulus. Could you describe in general how the brain processes valence? When you’re exploring the world around you, you’re presented with all sorts of environmental stimuli. There are a lot of stimuli that don’t have emotional valence, meaning they don’t innately invoke an emotional response. Sounds, things that we see, and all sorts of different cues are present, and somewhere between the sensory input to the brain and the behavioral output of the brain, stimuli encoding positive or negative valence diverges, because you’re getting different behavioral outputs depending on the stimuli. So, one of our first questions is where does the circuit diverge in terms of valence processing? Also, where are the feedback systems that tell us whether the stimuli that we just experienced predict something positive or negative? What is the interoceptive signal that feeds back to inform us on what type of motivational signal we should assign to different types of stimuli? So, the encoding happens in many, many different brain regions throughout the circuit. We’re looking at what neural ensembles are doing to represent a given stimuli at each phase of a behavioral training, and at each place in the circuit. 4. I hear you saying that there are many brain areas involved in the encoding of positive and negative valence in a distributed, parallel fashion. Which brain areas have you been focusing on? The basolateral amygdala is a primitive structure that’s been likened to an associative cortical-like structure, and the prefrontal cortex is a more evolved version of the basolateral amygdala – at least some people think of it that way. Both of these regions encode stimuli that are positive and negative, and also play a role in driving action selection. I think of both the prefrontal cortex and the amygdala as hubs for translating sensory information into motivational states (among many other functions) so those are the regions we’re interested in studying. 5. What has been one of the more unexpected findings of your research that has challenged the status quo of our understanding of how positive and negative valence are processed? The things that are the most exciting to me right now are still yet unpublished! So, one of the projects we’ve (we being my lab members Caitlin Vander Weele, Cody Siciliano, Gillian Matthews) been able to do with the help of the nVoke system from Inscopix was to stimulate ventral tegmental area dopamine terminals in the prefrontal cortex and look at the neural responses in the prefrontal cortex, and how they change depending on environmental stimuli when we increase or leave dopamine tone at a basal level. So, basically what we found is if we increase dopaminergic tone, we saw an increase in the amplitude of calcium transients in the prefrontal cortex, and that was really interesting to us. So what does that mean? Is that the same thing as increasing bursts? We’ve done the physiology now, and indeed that is what we’re seeing. We’re seeing this change in signal to noise which is a relatively sophisticated computation that’s been theorized to happen in prefrontal cortex with changing levels of dopamine tone, and it’s really exciting to see it actually happen in vivo, and for it to happen to some stimuli and not others. With optogenetics on its own we can stimulate neurons or inhibit neurons, but we’re doing something non-physiological, and activating neurons in a very synchronous fashion with a pattern that’s not what the neurons would normally do. I think what’s really exciting when you combine calcium imaging and optogenetics is that we can do something like increase dopaminergic tone, but then also record how the neurons are changing the way that they respond to various stimuli, because an increase in signal to noise is not something that’s easy to mimic with optogenetics alone. That’s one of the opportunities that the Inscopix technology allowed us to do that we wouldn’t have been able to do before. 6. Fantastic. Thinking about dopamine signaling, usually we relate that to a mechanism for responding to rewards. But you’ve shown in your work that dopamine signaling can also encode negative valence. Yes. To be fair, there’s literature going back to the 70’s showing that dopamine levels in the prefrontal cortex increase upon stressors and aversive stimuli, so that is not necessarily our discovery. I think what exactly dopamine does in the prefrontal cortex has been a mystery. Many other groups have convincingly demonstrated dopamine release in the prefrontal cortex upon reward receipt, as well as in response to aversive stimuli like footshock, or tail pinch. So, what is dopamine doing in the prefrontal cortex? It spans everything from working memory, attention, various different mood disorders, including schizophrenia, all the way to valence coding. How can it do so many different things? I think what’s really exciting about our result that’s still unpublished now, but hopefully will be published soon, is that we are providing a window into how that processing can be so flexible. 7. I want to add a dimension of urgency to your work. Recently New York Times article reported on an epidemic of anxiety amongst American teenagers. It described how over the last decade anxiety has overtaken depression as the most common reason college students seek counseling services. In addition to giving startling stats about the rise in anxiety in the last ten years, there’s also been a rise in hospitalizations due to suicide attempts in teenagers. I want to make the point that the work that you’re doing is incredibly important to our understanding of neuropsychiatric disorders. I don’t think of neuropsychiatric disorders fall into these different buckets. If you think about the neural basis or the pathology of each of these disease states, I don’t know that they would fall into different tidy little buckets. I think the same circuit perturbations manifest in many different types of symptoms in different individuals based on experiences that they’ve had or what the environmental situation is. There’s a long literature regarding how chronic, unpredictable stress in particular can lead to depression, so I don’t think anxiety or depression are really that separate. Of course there are different circuits that are involved in the behaviors on an acute time scale but I think there would be a lot more convergence if you think about these disease-related behaviors on a longer time scale. The brain is plastic, and compensates, and sometimes this comes out in what we would now consider maladaptive, but our brains have evolved to respond to the environment. So, I think about neuropsychiatric diseases as being more related to each other than they might have previously been thought of. I don’t like to put them in a box unless I know it’s the right box. 8. Let’s talk about the encoding of rewards and punishments a little bit, because often in the environment, there are competing cues. Very few things are strictly rewarding. Like a job has many rewarding aspects, but it may have other aspects that aren’t so fun. What can you tell us, based on your research, about how the brain handles these competing cues. I think that’s a great question, and it’s something that we’re really interested in. A lot of other groups have done beautiful work on looking at cost-benefit decision making. We want to look at how animals deal with competing rewards and punishments when cues are simultaneously presented and the animal needs to make a split-second decision, if you want to call it a decision. What we’ve done so far, along with Anthony Burgos-Robles in the lab, is design a new behavioral paradigm where we train rats that one cue predicts a footshock and another cue predicts sucrose, and then train rats to discriminate between those two cues. Sometimes we present them together, simultaneously, and see how the animal responds to it. Sometimes the animals engage in freeze-related behaviors, and sometimes they engage in reward-seeking behavior, and it’s interesting to think about how that changes. Because what they’re being presented with is the same every trial. It’s the same compound stimulus every time, and sometimes they interpret it or respond to it in one way to either reward-seek or perform defensive-related behaviors, and other times, they do the other behavior. So, what is happening that shifts the path of action selection in the processing chain? That’s something we’re really interested in and are collaborating with Ila Fiete to decode and plot some trajectories for different trial types. Caitlin Vander Weele has now used these tasks to look at how different animals deal with competing reward and punishment cues when they’re presented, and looking at circuits in the prefrontal cortex. 9. Based on what you’re saying, I’m trying to imagine whether these valence-coding circuits are hard-wired or formed through experience. There are going to be some stimuli that are intrinsically positive and negative, and then there’s associative learning. Any conditioned stimulus will require learning. Right now there’s a lot going on in the amygdala field in terms of valence coding specifically. There are a lot of different groups looking at this question of how the amygdala codes for valence, and while there are things without a consensus yet, one thing everyone does agree upon is that the valence-driving properties of amygdala neurons are hard-wired. It is not flexible like it is for some other regions. So, how you would define those population of neurons may be different. Some people use genetic approaches, some people use projection-specific approaches, but I think everybody agrees that neurons that code for positive or negative valence in the amygdala are inflexible, and they indelibly do so. 10. And when you look at the organization of the two populations that code for either positive or negative valence, are they segregated or are they intermingled? A little bit of both. There are some topographical gradients, but for the different projections that we’ve looked at, there is some intermingling as well. There are sort of hotspots, and there’s enrichment, but if you were to plop your electrode down into the basolateral amygdala, you wouldn’t know the projection target of the neuron based on where it’s located alone. So, it seems like you have different streams of information coming together, and then all this divergence coming out of the basolateral amygdala within which there is topographical intermingling of the different populations. One way to think about it is that perhaps form gives rise to function. You might want there to be local interactions between these different populations of neurons so that it gives another opportunity for those different drives to interact and compete with each other locally. 11. I want to switch a little bit to talking about the neurobiological regulation of social behavior. You’ve recently been awarded the NIH Director’s Pioneer Award for studying neural circuit mechanisms of social homeostasis in individuals and in large groups. Can you tell us a little bit more about that research? This is a very new program. The Pioneer Award is meant to be given for people who are going into new research areas, and this is a new research area for me. It’s something I’ve been interested in for a long time, but it’s a difficult problem to tackle. It’s much less constrained than the reductionist approaches that I normally use. Now we’re going to be changing over to more naturalistic paradigms. So the idea of social homeostasis within a group has existed. People have looked at termites and various eusocial insects for example, as well as mammalian species, and what happens to the social group after major environmental challenges or major changes in internal composition. You can see from James Curley’s work in Columbia that if you remove the alpha from any given cohort, the subdominant animals will immediately sense this power vacuum and want to vie to become the new alpha. But how do animals sense the change? That’s something that’s really interesting to me. And then the other thing that is also interesting is that we recently discovered work in my lab lead by Gillian Matthews that there are these dopamine neurons in the dorsal raphe nucleus that undergo potentiation following social isolation, and that track social agents following social isolation. It’s a negative valence signal in that if you stimulate these neurons, animals will avoid a place that’s paired with the photostimulation, both in real time as well as conditioned place preference. And in doing that, we get a sense of how this population of neurons could be prosocial. When we stimulate them, they have increased social preference, and also be aversive. We think this could be something akin to other need states, like hunger states, thirst states. If you have a homeostatic imbalance then you have a deficit, and you want to correct that deficit. Many groups have shown for decades that if you isolate animals, there will be a rebound in social interaction when you reintroduce them to their group. That’s something you can observe. If you’re isolated for a long time, you usually have an increased motivation to seek social contact. That is akin to a homeostasis-like function, where when you have a deficit in something, then you are trying to correct that deficit. If you can isolate animals and observe this rebound interaction, then you can study the circuit basis of it. So, we’ve found at least one population of neurons that can block the rebound effect. This suggests that we have an entry point for studying social homeostasis, if that is something that even exists. If you have a need state that suggests that there is a homeostatic mechanism, something that can detect the deficit that is present. That’s the idea that I’d like to explore, but it’s very much indeed a high-risk, high-reward project. 12. It’s amazing how you’re able to work out the circuits in the way that you have so far in the dorsal raphe nucleus of such a complex behavior as rebound social interactions. Good luck on this really interesting work! You’ve employed so many cool techniques to address your questions, and I want to switch a bit to hear more about some of the technological innovations that you’ve used, and maybe other ones that you would like to see for circuit neuroscience. What you really want to have as a systems or circuit neuroscientist these days are ways to manipulate certain populations or projections of neurons, so we do that routinely with optogenetics, and then we also want to be able to record the activity of populations of neurons ideally while we’re also manipulating so we can see how the manipulations alter the computation or the processing of downstream targets, downstream regions, and see how that alters the rest of the circuit. To be able to do this, you really need two-color excitation for phototagging, which is really difficult because of the blue shoulder on red-shifted opsins. Calcium offers a good opportunity because you’re using lower levels of blue light that you might be able to kind of dodge this problem with crosstalk. That is something that we’re working on right now. We’re doing both the calcium imaging and electrophysiology to stimulate different terminals and see how the downstream targets respond. It’s been really powerful to have that. Imaging and electrophysiology are complementary strategies to record neural responses and it’s important to me to know what individual neurons are doing. That gives me a sense of how the brain is working. 13. What I hear you saying is that it’s important to combine multiple methods for recording and manipulating activity in the same experiment. Yes. And I think one of the beautiful things about doing both electrophysiology and calcium imaging is that the caveats that are related to either are very different. The techniques work on very different principles, and so the caveats and confounds are going to be different. When you do them together, that gives you an additional level of confidence that the conclusions that you are coming to are real. 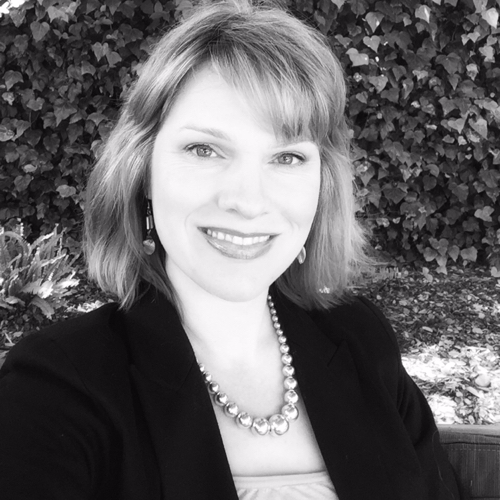 I really have to commend my graduate student Caitlin Vander Weele for taking that extra level of rigor to really dig into what is happening at the cellular level. That’s something that I really am excited about and proud of. 14. For the last question, let’s talk about your lab philosophy. You are one of the very few scientists to have a entire webpage dedicated to your lab’s philosophy. I’m wondering if you could summarize it here briefly. It’s beautifully written. I’ve absolutely been blessed with phenomenal, super-inspiring mentors, and I’ve learned so much from them. So when I got my own lab, it was my chance to take the things that I learned and that resonated the most with me and synthesize them and merge them into my own lab philosophy. That’s something I wrote actually when I was still a postdoc, and I was fantasizing about when I have my own lab. I didn’t really think about what the implications would be, or what would happen if I made a philosophy page. Now it’s been six years and looking back I’m really glad I did it. It’s a little controversial sometimes to do this type of thing, but for me, I’m saying, here are the things that I hold dear. Here are the values that are at the core of what I believe in, and I want to hold myself to these standards, because any moment that you forget about it, you start slipping. You get caught up in little bad habits, and it’s so easy to do that if you’re not making a daily, conscious effort to continue to hold yourself up to the highest standard. My philosophy boils down to saying that I expect a lot of the people that I work with, but they can expect a lot from me. And science is fun. It should be enjoyable. I think people do the best work when they’re happy, and when they’re enjoying the work that they’re doing. If you’re not having fun, and you really slogging through it, then you’re not going to do your best work. I think this is related to why a lot of people feel an increased level of anxiety or stress is the expectation that you’re having to do something because you’re supposed to be doing it, not because you want to be doing it. When you’re doing something because you want to be doing it, you’re going to do it so much better and more efficiently. You’ll get energy from it instead of it draining energy from you. It’s about wanting to do science for the right reasons because it’s the most noble pursuit. You know, there are challenges in every career path, and I’m not going to pretend that every step of academic research is really easy, but there are a lot of aspects to it that are really beautiful, and just so sacred and precious, that I want people to celebrate those things in addition to doing all the things that they’re supposed to. Doing things because you’re supposed to is not a reason to have a career in science. I just want to recruit people who are doing the work because they really love it. 15. Cool. I think your students and postdocs are really lucky! Thank you so much! It’s been an honor to talk to you. Thank you so much for having me. It’s been a privilege to work with everyone at Inscopix, and it’s been really helpful, and thanks to you guys for what you’ve done to push the technology forward.